Bear watching short break in Brasov area, Transylvania, Romania: bear watching, hiking in the Carpathians, untouched nature, contiguous forests, amazing customs and hospitable people. Best chances: second half of May and mid-August-September. 2 is the minimum number of field days we recommend for bear watching in the wild to increase your chances to see wild bears in completely natural and uncontrolled conditions. In fact the more days you can spend in the field – the higher chances of success. 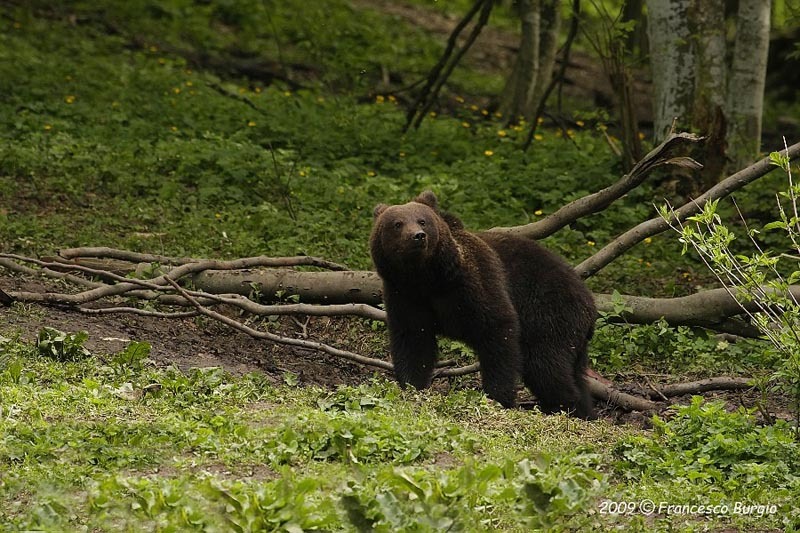 A 4 day trip focused on bear watching in the wild, with a local English speaking bear researcher. Transfer to a local guesthouse with en-suite facilities in Zarnesti, entrance point in Piatra Craiului National Park. We leave very early in the morning (before sunrise) to watch wild bears in totally natural and uncontrolled conditions. Together with the bear researcher you will walk slowly on one of the numerous valleys teeming with wildlife looking for bears. The early departure is to enable you to track the animals before they go to sleep, which in mid-summer is until 8.00 am. As extra activities, during day-time you can do some hiking and wildlife tracking, visit a shepherd camp, some of the local historical places (e.g. Bran Castle, Peles Castle or the medieval town of Brasov), go by horse drawn cart on one of the beautiful valleys close-by, hike, bike, paraglide, horse ride or just relax in the garden with a glass of home-made bilberry liquor or plum brandy, or the local “bear beer”. In the late afternoon, we drive and hike to special places for bear watching in their natural habitat. The chances are quite high (about 90% for bears), as the researchers know the perfect spots for bear watching. Late in the evening (after sunset) you return to the guesthouse for a good night sleep. GOOD level of fitness required. Also you need to be able to cope with the lack of sleep for the bear watching days. Accommodation in a local guesthouse in double room with en suite facilities. Meal basis: full board full board starting with dinner on the first evening (lunch consisting in sandwiches). 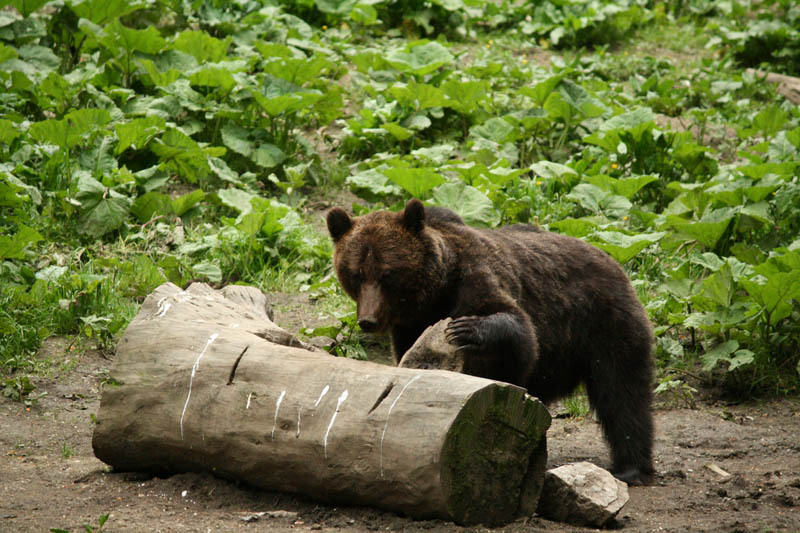 Thank you for choosing this bear watching short break! This cost is calculated for a group of minimum 2 persons. Included: 3 days full-board accommodation in a double room, local English-speaking wildlife guide, transfer from/to the airport, local transportation for the included activities, 2 days wildlife watching and tracking with a wildlife researcher. Single room supplement: 9 euro/day. To be paid locally: paragliding, biking, entrance fee to places of interest, visit to a shepherd camp, alcoholic beverages unless specified in the itinerary, any other personal expenses.